We manufacture and offer a wide range of Inspection Machine that is precisely designed. It is constructed to meet the standards that effectively meet the requirements of Inspection and slitting. We offer Inspection Machine to cut Label Rolls up to 1500 mm. 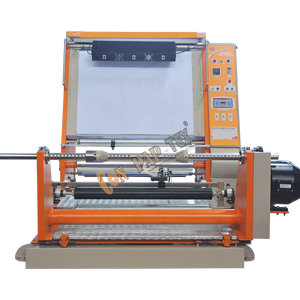 The machine is provided with razor cutter or circular cutter arrangement and can slit up to 10 mm width.